Access to and use of this website is subject to these terms and conditions. THE USE OF THIS SITE CONSTITUTES ACCEPTANCE OF THESE TERMS AND CONDITIONS. PLEASE READ THESE TERMS AND CONDITIONS CAREFULLY. These terms and conditions may be revised at any time by our updating this notice and posting it on our website. You are bound by any such revisions if you continue to use the website after we have posted the changes; and we suggest that you periodically visit this page to review the most recent Terms & Conditions. Any rights not expressly granted herein are reserved. 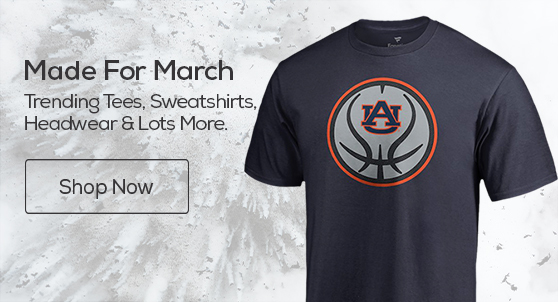 This website is owned and operated by AUFAMILY. You may download material displayed on this website for your personal, non-commercial use only and provided you do not remove any copyright and other proprietary notices contained on the materials. You may not distribute, modify, transmit, reuse, repost, download, link or use the content of this website for commercial purposes, without AUFAMILY’s written permission. You will defend, indemnify, and hold harmless AUFAMILY, AUN LLC, subsidiaries, affiliates, and the directors, officers, employees, shareholders, vendors, partners, contractors, agents, licensors or other representatives of each of them and all of their successors and assigns (collectively, the “AUFAMILY”) with respect to all claims, costs (including attorney’s fees and costs), damages, liabilities, and expenses or obligations of any kind, arising out of or in connection with your use or misuse of AUFAMILY (including, without limitation use of your account, whether or not authorized by you, and claims arising from User Submissions). AUFAMILY retains the right to assume the exclusive defense and control of any claim subject to indemnification, and in such cases you agree to cooperate with us to defend such claim. You may not settle any claim covered by this without AUFAMILY’s prior written approval. Your use and browsing of this Site are at your own risk. EVERYTHING PROVIDED ON THIS SITE AND ANY OF ITS CONTENTS ARE MADE AVAILABLE TO YOU “AS IS” WITHOUT ANY WARRANTY OF ANY NATURE INCLUDING WITHOUT BEING LIMITED TO THE QUALITY, ACCURACY, TIMELINESS, COMPLETENESS. PERFORMANCE, EITHER IMPLIED OR EXPRESSED, INCLUDING, BUT NOT LIMITED TO, THE IMPLIED WARRANTIES OF FITNESS FOR A PARTICULAR PURPOSE, MERCHANTABILITY OR NON-INFRINGEMENT. AUFAMILY, nor any party involved in any way in creating, producing, maintaining or delivering this Site is liable for any direct, incidental, consequential, indirect or punitive damages arising out of your access to, or use of, this Site and its contents. The contents of this Site are only for general information or use. It does not constitute advice and should not be relied upon in making (or refraining from making) any decision. AUFAMILY will not be liable for any damages (including, without limitation, damages for loss of business projects, or loss of profits or any consequential damages) arising in contract, tort or otherwise from the use of or inability to use this Site, or any such contents. AUFAMILY makes no warranty that the contents of this Site are free from infection by viruses or anything else which has contaminating or destructive properties. YOU ACKNOWLEDGE AND AGREE THAT IF YOU INCUR ANY DAMAGES THAT ARISE OUT OF AUFAMILY ACTS OR OMISSIONS, THE DAMAGES, IF ANY, ARE NOT IRREPARABLE AND ARE NOT SUFFICIENT TO ENTITLE YOU TO AN INJUNCTION OR OTHER EQUITABLE RELIEF RESTRICTING EXPLOITATION OF ANY WEBSITE, PROPERTY, PRODUCT, PROGRAM, STORE, OR OTHER AUDIO/VISUAL CONTENT OWNED OR CONTROLLED BY AUFAMILY, INCLUDING WITHOUT LIMITATION THE SERVICES (INCLUDING THOSE INCORPORATING USER SUBMISSIONS). YOU ACKNOWLEDGE AND AGREE THAT Any images, copyrights, or trademarks used on this site are used under the “Fair Use Provision” of the Copyright Act for purposes of comment, criticism, and news reporting. 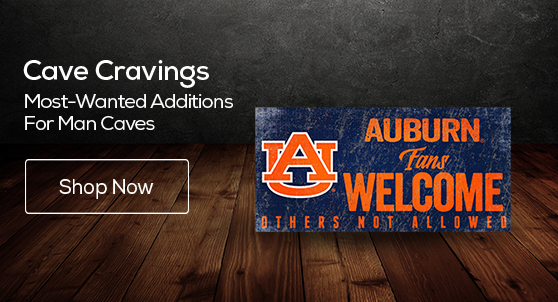 YOU ACKNOWLEDGE AND AGREE THAT AUFAMILY is not affiliated with, sponsored by, or endorsed by AUBURN UNIVERSITY, THE SOUTHEASTERN CONFERENCE OR THE Collegiate Licensing Company. 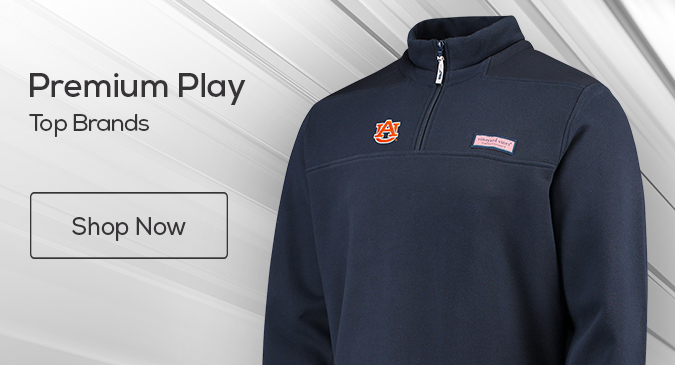 AUFAMILY.COM, AUBURNFAMILY.COM, AUNATION.NET, AUBURNEAGLE.COM, THEAUBURNEAGLE.COM NEVERTOYIELD.COM, AUFAMILYCONNECT.COM, STATTIGER.COM, AUN LLC.